Brighten your home, car mirrors or Christmas tree with handmade ornament. 2” x 2”. $8. 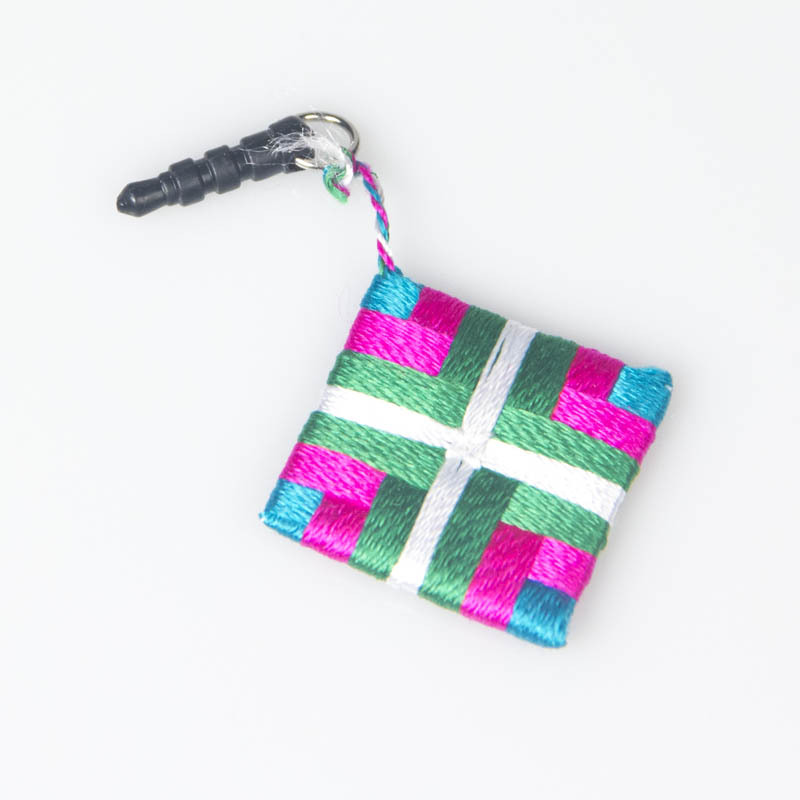 Square ornament hand-wrapped with colorful silk threads. Perfect as bookmark or object decoration. 1” x 1”. $5. 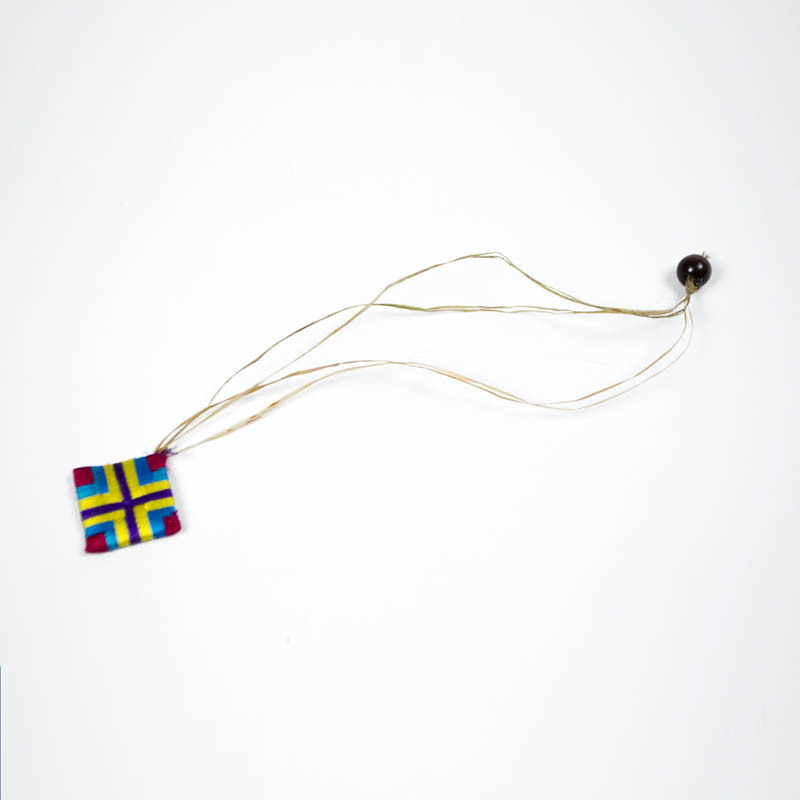 Square ornaments hand-wrapped with colorful silk threads. Dust plug for audio jacks on smart phones. 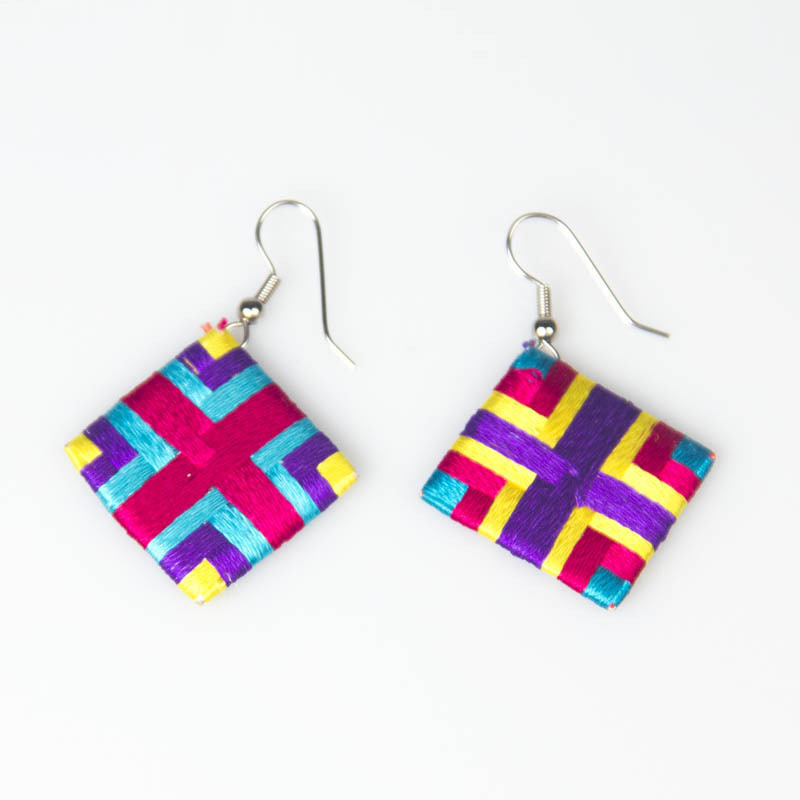 1” x 1”. $5. 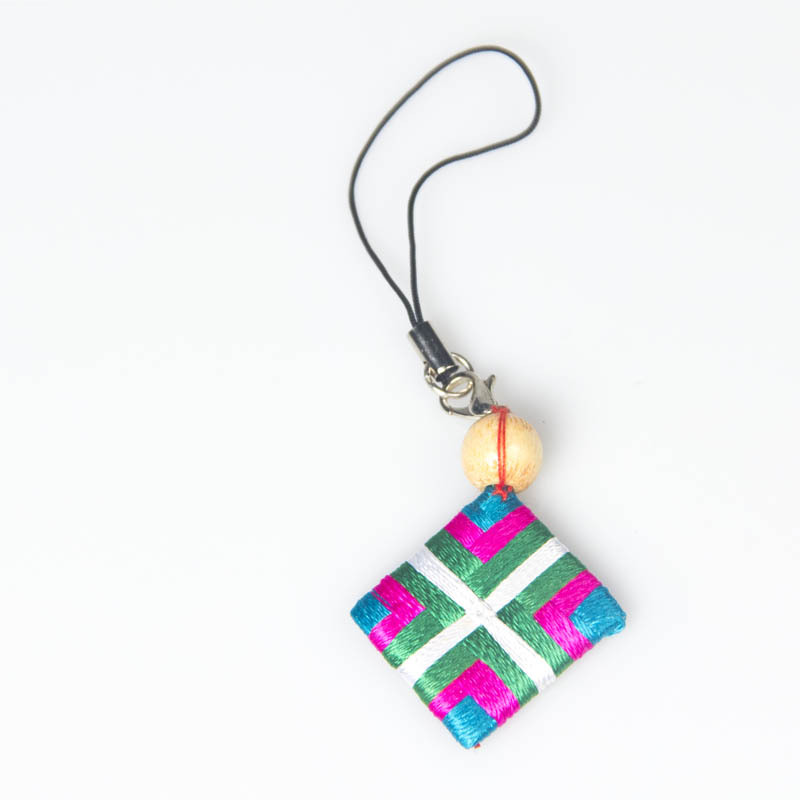 Square ornament hand-wrapped with colorful silk threads. Loop for traditional cellphones with metal hoops. 1” x 1”. $5. 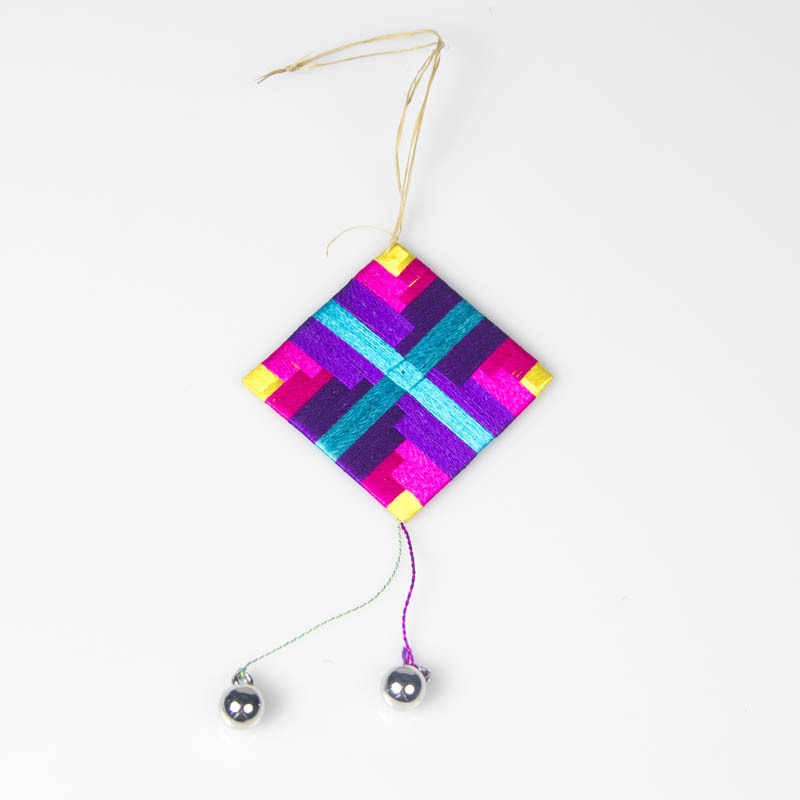 Square ornaments hand-wrapped with colorful silk threads. 1” x 1”. $7.